This Virginia Brewery Wants Your Pumpkin-Spice Beer ... So It Can Pour It Down the Drain | Food and Drink | Style Weekly - Richmond, VA local news, arts, and events. Bill Tiernan The Coelacanth Brewing Co. on W. 22nd St. in Norfolk. One Virginia brewery doesn’t want you to slip softly into that pumpkin spice night. 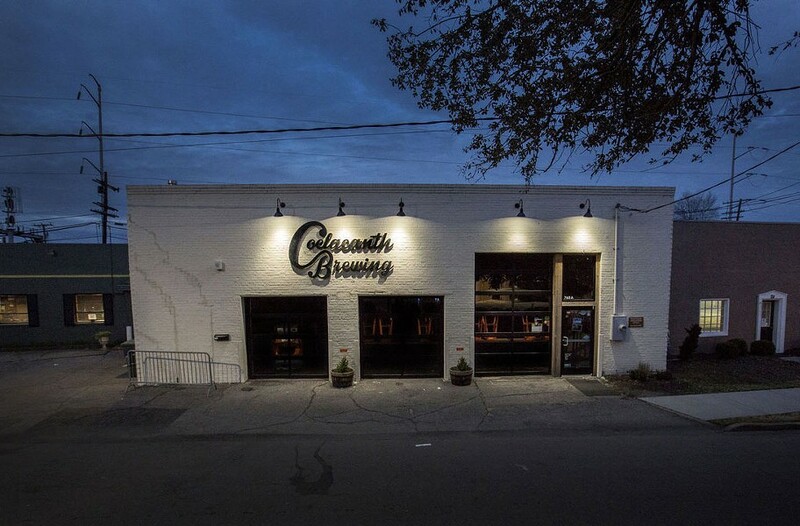 Norfolk’s Coelacanth Brewing Company (pronounced SEA-luh-kanth) is offering a “Pumpkin Beer Amnesty” program, promising coupons and cans of their own pumpkin-free beers as long as you surrender your pumpkin-flavored ones. “We’re trying to make the world a pumpkin spice-free place for our children,” said Kevin Erskine, the brewery’s president and CEO. He’s not kidding (OK, kind of). Erskine said his brewery has made a point of not making any pumpkin-inspired beers, nor will it ever. “I thought this year people would finally start to smarten up,” he said.